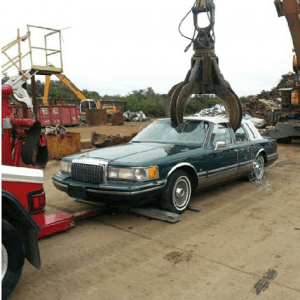 It’s easy to get reliable junk car removal services in Largo, Florida! If you want cash for your old car, truck, SUV, RV or RV in Largo, text a photo of your vehicle to 727-776-6376 or call us directly for information. 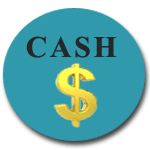 Cash for Junk Cars Clearwater Florida is a Pinellas County Auto Salvage Company who pays cash for unwanted, old, non-working junkers, clunkers and yes, those that are still running and even cars without titles. If you need towing services for an abandoned vehicle, recreational vehicle or boat in Largo Florida and want to make some cash too, call or text us for service. Cash for Junk Cars Clearwater FL will remove abandoned trucks, cars or SUV’s, provide fast, friendly and professional services and offers FREE TOWING when we pay you cash! If you have a car, truck boat, RV or boat that is not running, burned out, wrecked and want to scrap your vehicle for quick cash, now is the time. Free up your yard, driveway or land of unwanted vehicles by scrapping them with Cash for Junk Cars Clearwater FL. If you have received a notice from the County to remove unwanted vehicles, then don’t wait until you are fined! TEXT OR CALL, 727-776-6376 today and get a quote. We think you will be happy with our offer and our FREE TOWING! We are the go to source for removing old, abandoned cars from Largo apartment complexes, condos, or in HOA managed neighborhoods. We understand that you want to keep your neighborhoods free from cars that have been left by former occupants visitors or vehicles that were simply dumped on your property. When you need towing and removal services in Largo, FL for abandoned vehicles, call or text us today for professional, friendly vehicle removal services. We provide auto and boat salvage services in Largo, Clearwater, Dunedin, Countryside, St. Petersburg, Pinellas Park and throughout Pinellas County, Florida. It’s easy, professional with fast, friendly service. Junk your boat, truck, cars today and put some cash in your pocket!.